I'm running a simple Java program from the IntelliJ IDE using the Run->Run menu. It works fine. Now I want to add log4j logging. I added a resources folder under my project root. I added a log4j.properties file in that folder. I changed the code to log something. What is the right way to tell IntelliJ to include the resources folder in the classpath so the properties file is seen? Find the folder in the tree on the right and select it. Click the Sources button above that tree (with the blue folder) to make that folder a sources folder. Actually, you have at least 2 ways to do it, the first way is described by ColinD, you just configure the "resources" folder as Sources folder in IDEA. If the Resource Patterns contains the extension of your resource, then it will be copied to the output directory when you Make the project and output directory is automatically a classpath of your application. Another common way is to add the "resources" folder to the classpath directly. Go to Project Structure | Modules | Your Module | Dependencies, click Add, Single-Entry Module Library, specify the path to the "resources" folder. Yet another solution would be to put the log4j.properties file directly under the Source root of your project (in the default package directory). It's the same as the first way except you don't need to add another Source root in the Module Paths settings, the file will be copied to the output directory on Make. I have the same problem and it annoys me tremendously!! I have always thought I was surposed to do as answer 2. That used to work in Intellij 9 (now using 10). I spent quite a lot of time figuring out how to do this in Intellij 13x. I apparently never added the properties files to the artifacts that required them, which is a separate step in Intellij. The setup below also works when you have a properties file that is shared by multiple modules. In the list, select the module that you want to add one or more properties files to. On the right, select the Dependencies tab. Click the green plus and select "Jars or directories". Intellij will now ask you what the "category" of the selected file is. Choose "classes" (even though they are not). Now you must add the properties files to the artifact. Intellij will give you the shortcut shown below. It will show errors in the red part at the bottom and a 'red lightbulb' that when clicked shows you an option to add the files to the artifact. You can also go to the 'artifacts' section and add the files to the artifacts manually. For those of you who migrate from Eclipse to IntelliJ or the other way around here is a tip when working with property files or other resource files. Eclipse is just happy when the xxxx.properties file is at the project ROOT itself. So IntelliJ expects .properties file to be 1 level higher then Eclipse when it is referenced like this !! Look at the Content Root section on the right side, the red paths are directories that you haven't made. You'll want to put the properties file in a Resources directory. So I created src/main/resources and put log4j.properties in it. I believe you can also modify the Content Root to put it wherever you want (I didn't do this). I ran my code with a SBT configuration and it found my log4j.properties file. Perhaps this is a bit off-topic, seeing as the question has already been answered, but I have experienced a similar problem. In my case only some of the unit test resources were copied to the output folder upon compilation. My persistence.xml in the META-INF folder got copied but nothing else. In the end I "solved" the problem by renaming the problematic files, rebuiling the project and then changing the file names back to the original ones. Do not ask me why this worked but it did. My best guess is that, somehow, my IntelliJ project had gotten a bit out of sync with the file system and the renaming operation triggered some kind of internal "resource rescan". Not the answer you're looking for? Browse other questions tagged java intellij-idea classpath or ask your own question. 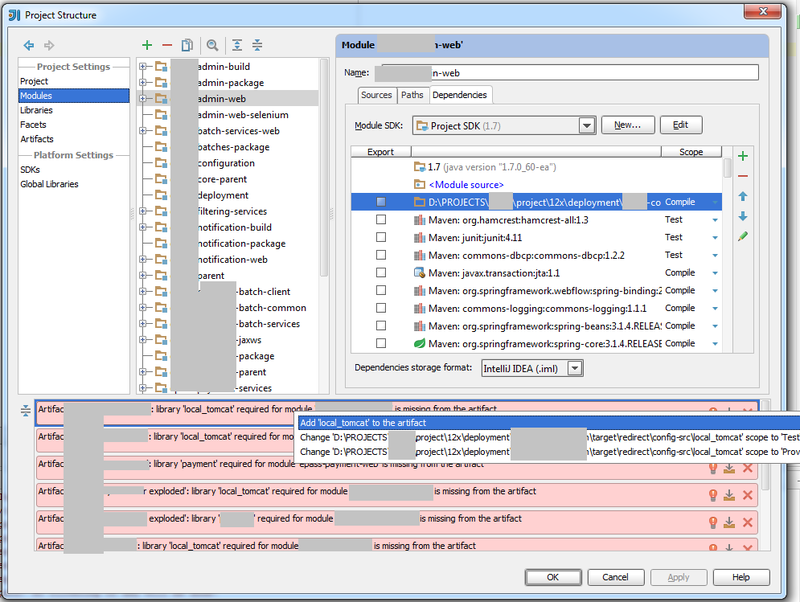 IntelliJ: how to make non java files copied to the bin directory as well? 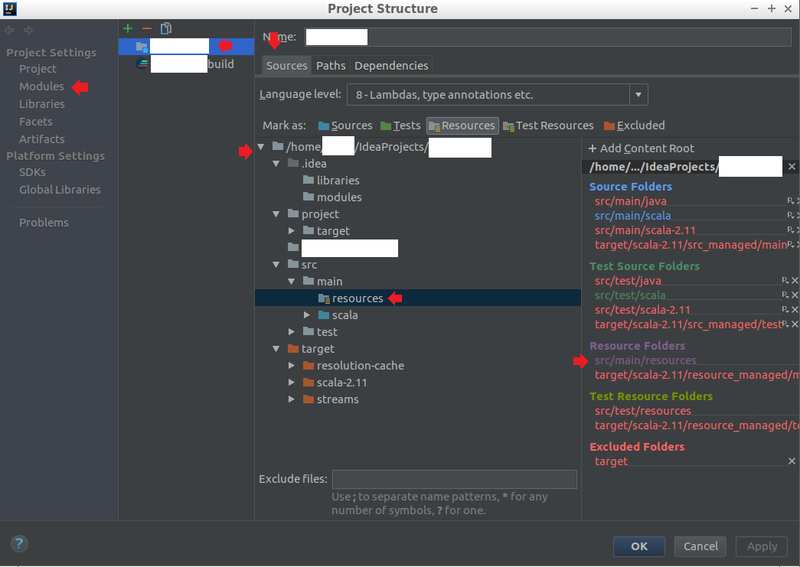 IntelliJ IDEA - Eclipse .classpath files and relative locations? How do I specify an extra folder to be on the classpath for gradle's application plugin 'run' task? How to add path of log4j.properties file in my project classpath in eclipse?